Teen Tech Week offers an excellent opportunity to practice compassionate making and build empathy in your students. Get students involved in supporting a cause or charity by making something. Ask students what causes they’re interested in supporting, and then connect with a local charity to see how students can help. Design and construct a Little Free Library for a local neighborhood. Sew and decorate pet blankets for a local animal shelter. Work with a local veterans’ home or retirement home and plan and design an improvement for their space, such as planting a garden, repainting a common room, etc. Bonus: For more on the concept of compassionate making, check out Gina Seymour’s fantastic article. Supply drives are a common way to source supplies for your makerspace. 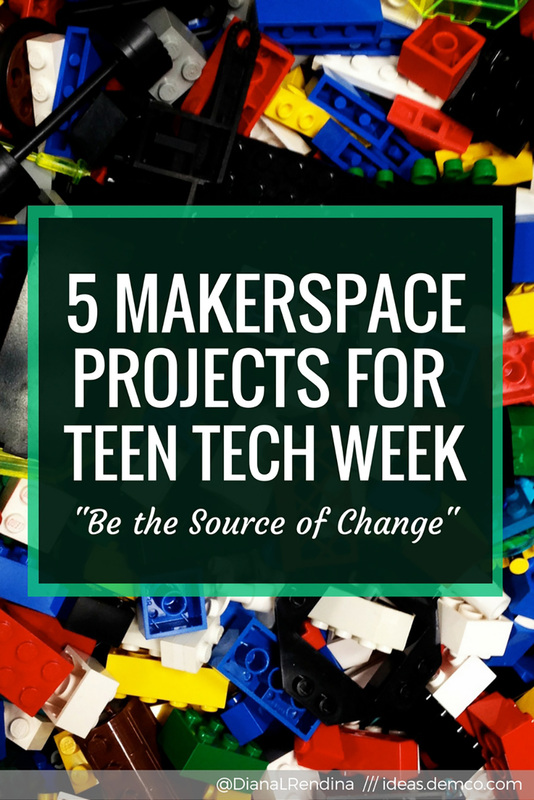 But for Teen Tech Week, instead of planning a drive for your own organization, organize one for someone else. Gather supplies like LEGOs®, K’NEX, Snap Circuits, etc., and donate them to a local homeless shelter or women’s center. Or partner with a local school that doesn’t have access to they types of resources that your school has and help them kickstart their makerspace. 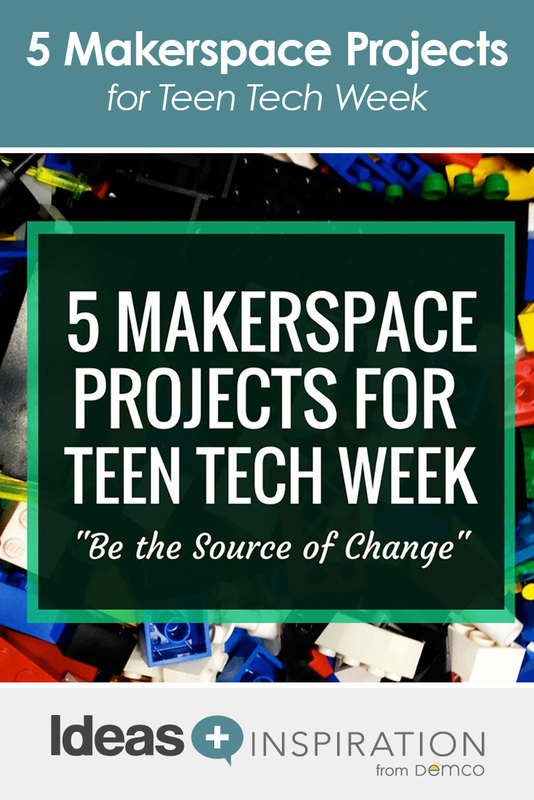 This Teen Tech Week project is a great way to combine history and social studies with making. Challenge students to create a project inspired by someone in history who’s made significant changes in the world. Students will research their figures to come up with their project inspiration. When students have completed their projects, have a video conference with another school where students can share their projects and what they learned about the figure. Bonus points if you collaborate with the school as a joint design challenge where both schools are creating a project around the same themes. Students can have strong ideas and opinions on how they could make their schools better, and their voices often aren’t heard. 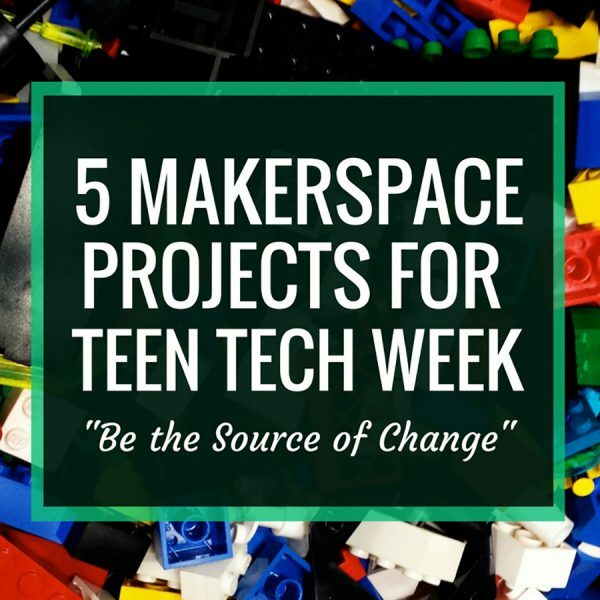 For this Teen Tech Week project, use the design thinking process to have students build empathy, find a problem in the school, and brainstorm ideas of how to fix it. As students work through their ideas, they can create prototypes of the solutions they’ve come up with and test and reiterate their designs. When students are ready, have them present their solutions to your administrators (and maybe even the school board). This gives students a fantastic opportunity to practice their public speaking skills and to make their voices heard. They can be the source of change in their own schools. Improving a common practice in the school, such as signing students out, marking tardies, bathroom passes, etc. Bonus: Colleen Graves offers a great intro to Design Thinking in her article on littleBits™. Got littleBits? 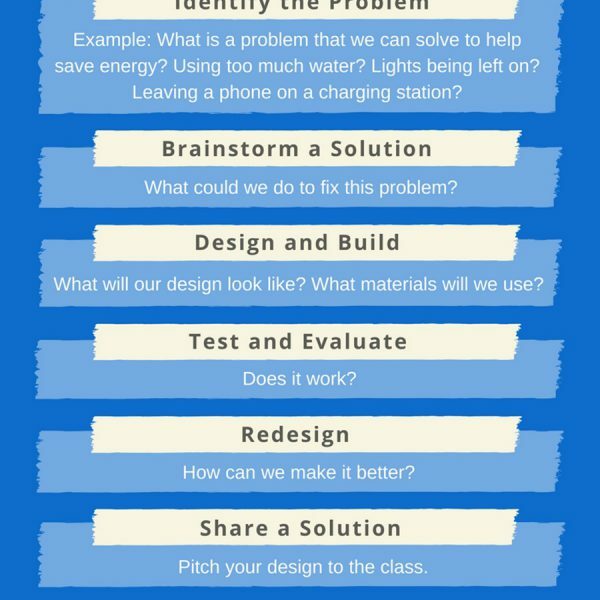 Challenge students to use them to design a device that could help save energy. This project could also be adapted to other materials, but adding the aspect of hands-on electronics can really help students to bring their concepts to life. Using the Engineering Design Process (slightly different from design thinking) students can plan, design, and create solutions. At the end of the design session, have students share their solutions in a pitch session with the rest of the class in the style of Shark Tank. Identify the Problem: What is a problem that we can solve to help save energy? Using too much water? Lights being left on? Leaving a phone on a charging station? Brainstorm a Solution: What could we do to fix this problem? Test and Evaluate: Does it work? Redesign: How can we make it better? 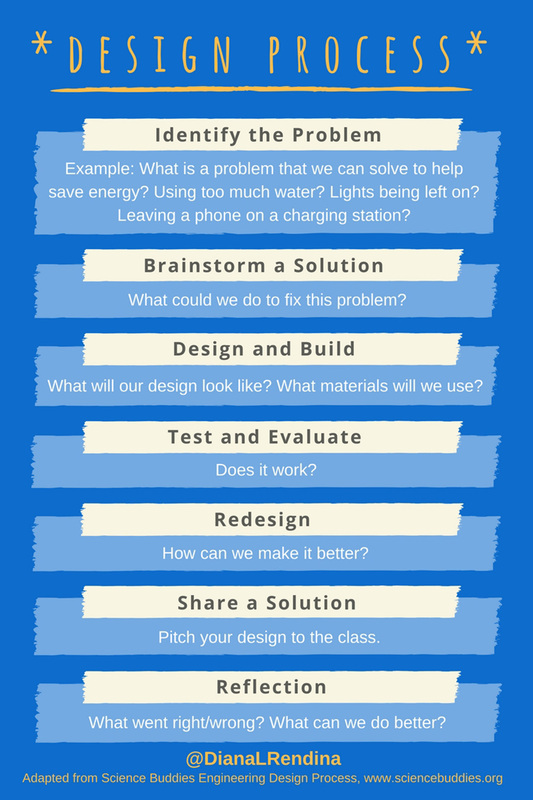 Share a Solution: Pitch your design to the class. Reflection: What went right/wrong? What can we do better? Bonus: Check out my littleBits lesson plan for more details as well as the standards that align with this activity.